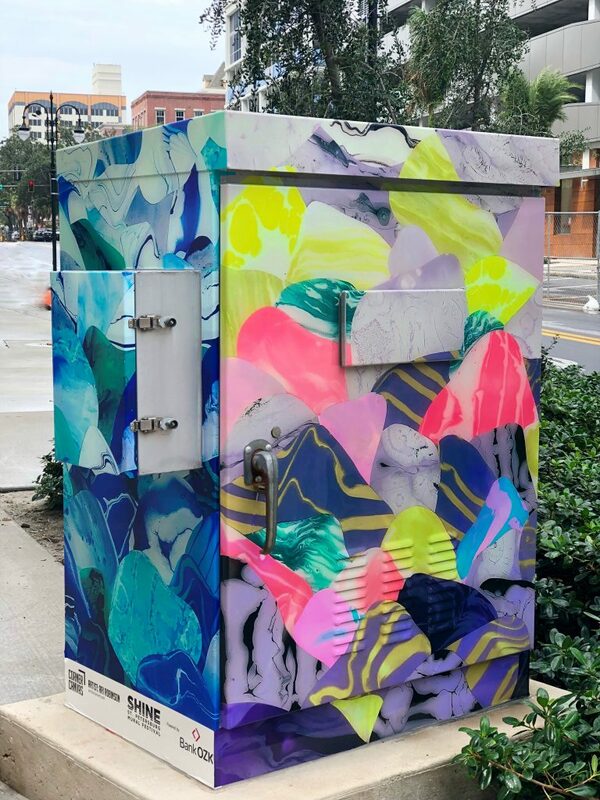 Happy to have my art selected for “Corner Canvas” to kick off SHINE Mural Festival! 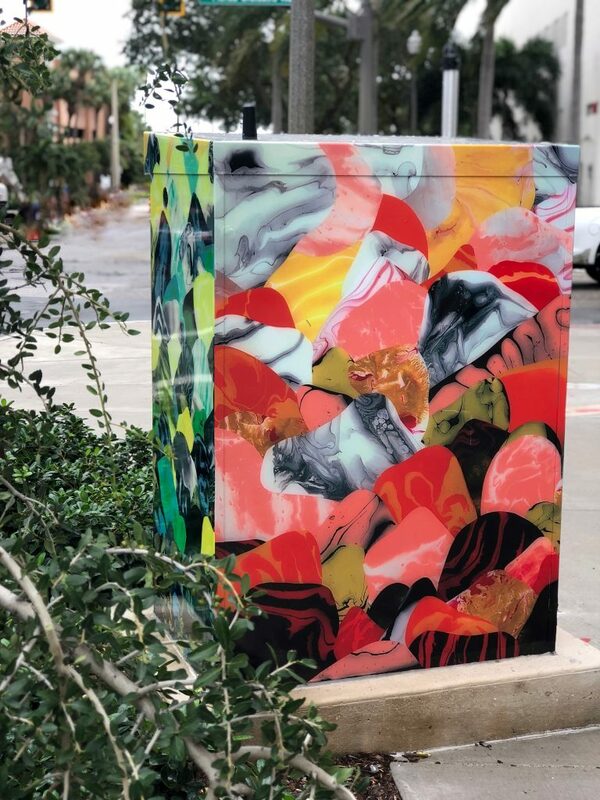 Corner Canvas repurposes traffic signal boxes with local art throughout the city. 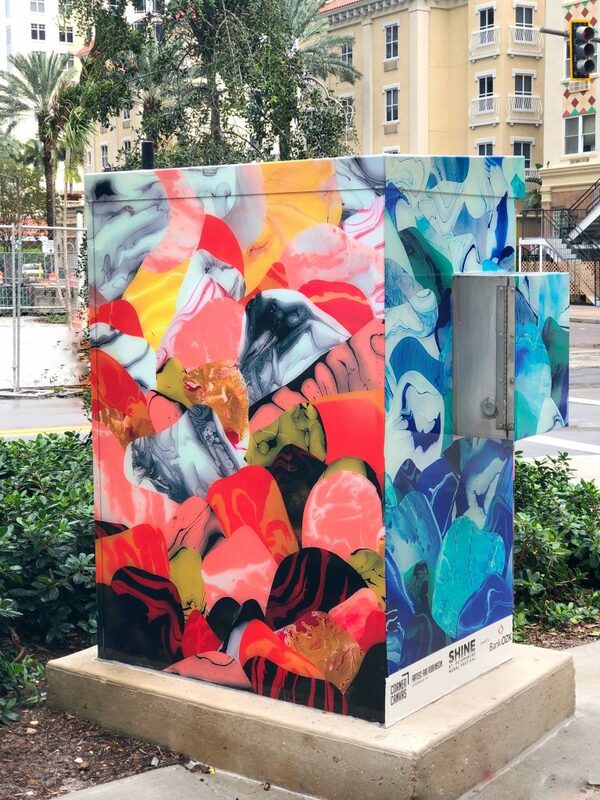 You can visit my box on the corner of Central Avenue & 1st Street South in down town St. Petersburg, Florida. 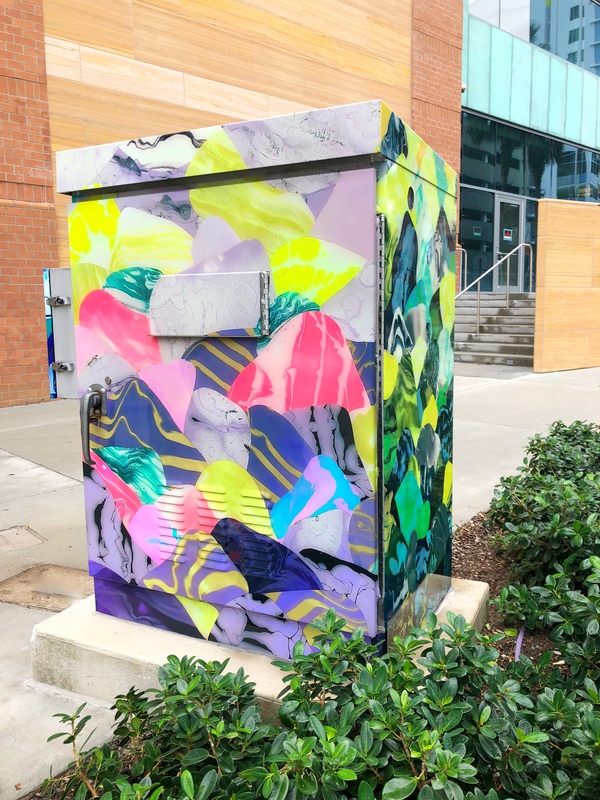 Corner Canvas repurposes traffic signal boxes with local art to brighten up the city!